Maybelline India Fit me Matte+Poreless Foundation,Fit Me Concealer, Fit Me Compact Powder, Maybelline Hyper matte Liquid Liner, price, V-Wash Wipes. I have been wondering why I wasn't seeing something from Maybelline India anymore, especially, since they are always launching and withdrawing products and always keeping things very exciting. I needed a matte liner and had the Maybelline Gel Liner in mind. 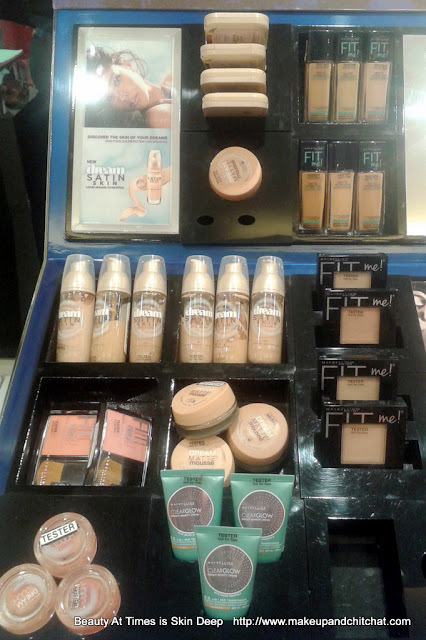 But, on reaching, I was greeted by the Maybelline Fit Me Collection! 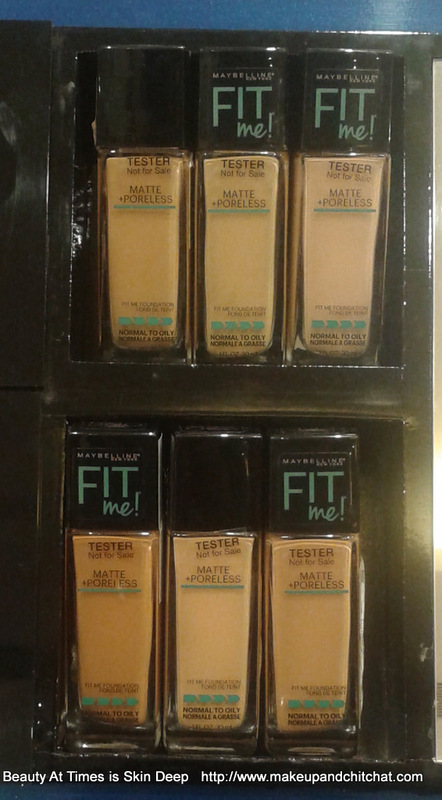 Maybelline Fit Me matte+Poreless Foundation in SIX shades. Rs 525. 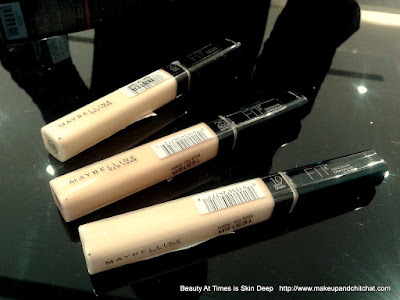 Maybelline Fit Me Concealers in 3 shades, Around Rs 500. Maybelline Fit Me Blushes in 3 shades Rs 400. Maybelline Fit Me Compacts in 4 shades Around Rs 475. Maybelline Hyper Matte Liner. Rs 325 . 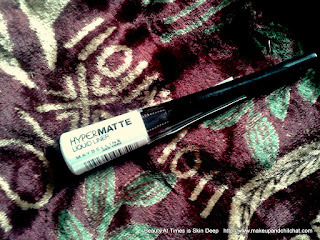 If you like Maybelline Hyperglossy liners but are tired by the glossy finish, here's your 'thang'! I couldn't help but buy Maybelline Fit Me Poreless+Matte Foundation which I am thoroughly enjoying, 1 Gel Liner and a Hypermatte Liner. I am also going back for the concealers again and I also NEED a mascara since the one I am using is getting pretty old and unfit for use. toilets, I always get much bothered. 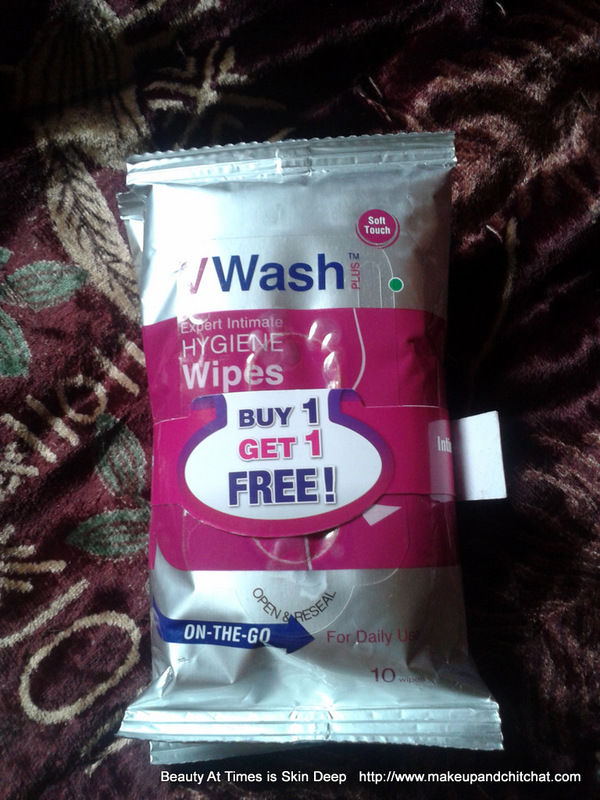 These wipes seem to be my wish come true. Mind, these are not very cheap. But, I got BOGO on promotion at Spencer's Hypers. I have a massive makeup haul. Stay tuned for it.